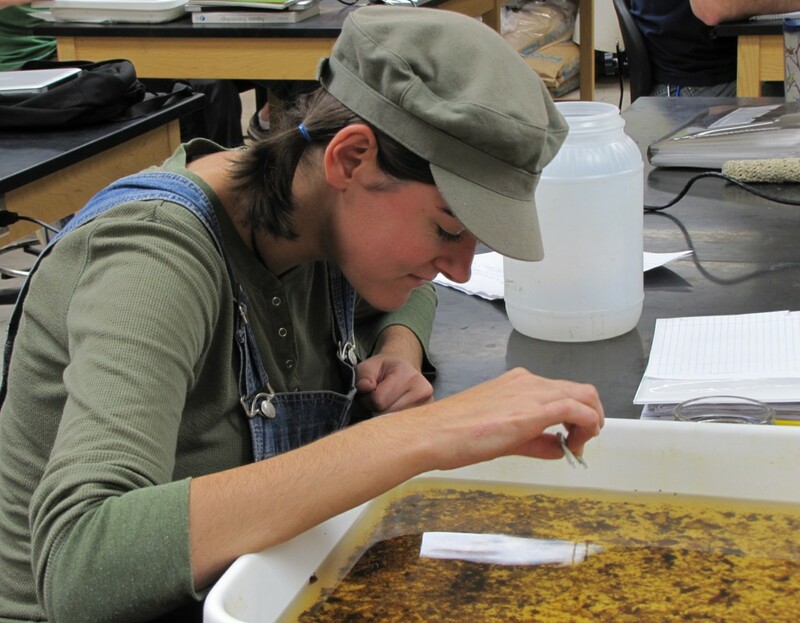 As an undergraduate student at UCA, Lori Monday took Biology of the Reptilia and became interested in the study of reptiles and amphibians. 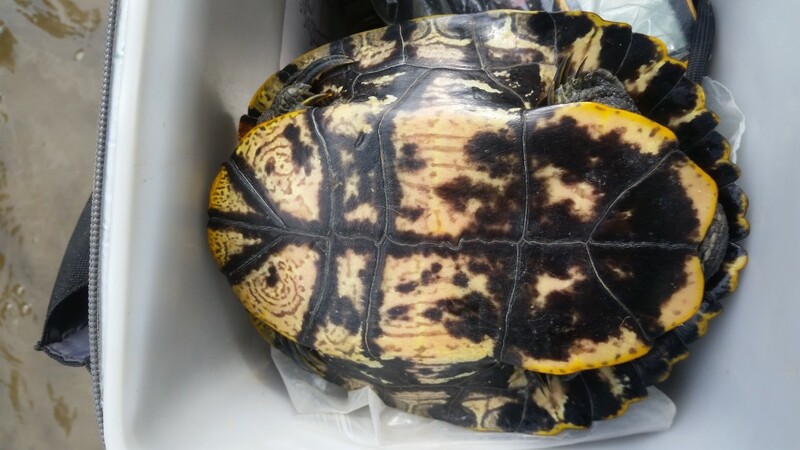 Now, as a graduate student she studies the covariation between the degree of melanism and phenotypic traits with specific environmental conditions in red-eared slider turtles. This is a model species for this project because they experience great temporal and spatial variation in habitat, which provides fluctuating environmental pressures. The vertebrate melanocortin pathway has been shown to produce multiple effects on physiology, morphology, and behavior. 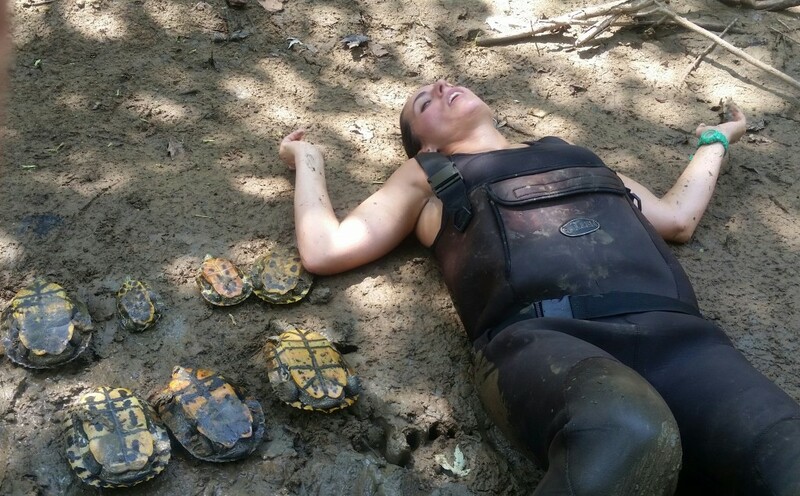 For her thesis research, Lori is studying the corticosterone stress response and reproductive differences between turtles of varying degrees of melanism. 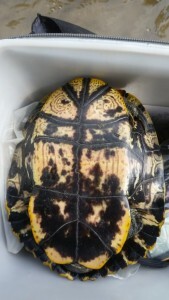 To assess any effects of the stress response on melanin production, turtles of different populations that experience different environmental pressures will be compared. For other Graduate Research check out College of Natural Science and Mathematics Symposium page. 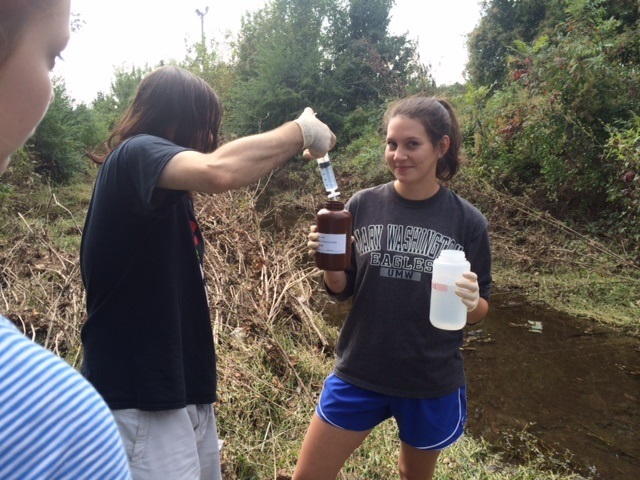 David Black, a senior Biology major, has been testing water quality in the Stone Dam Creek watershed for 3 years. David measures nitrates, phosphorus, and other physical characteristics to understand how the surrounding land use can affect the water quality. 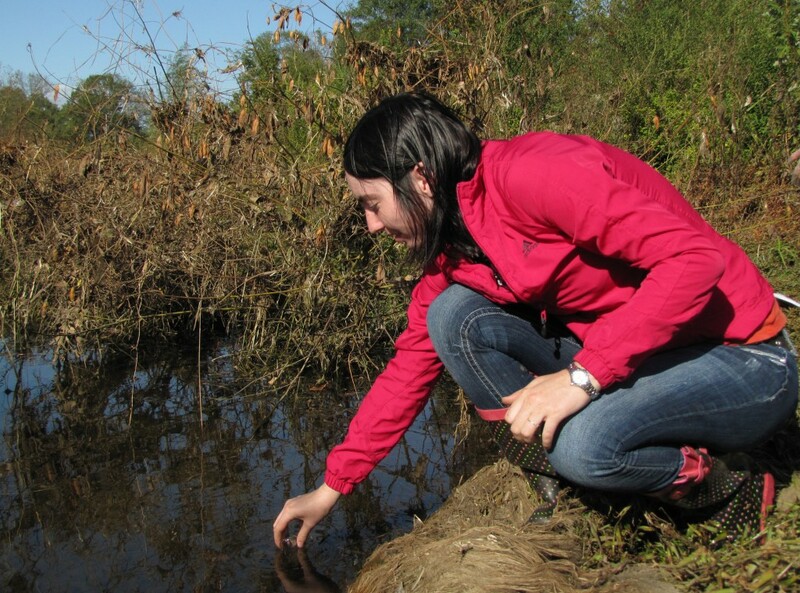 Since 2010, the water quality has appeared to improve with lower nutrient concentrations and an upward trend of higher quality macroinvertebrates. He has expanded his research to sampling during storms when runoff should be the greatest. His future goal is to be a chemist, so this project has given him some real-world experience and provided a service to the community. 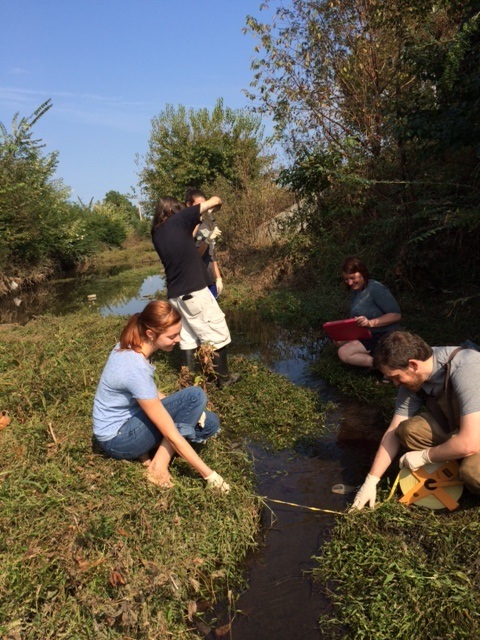 The University of Central Arkansas Stream Team assesses the health of Stone Dam Creek that flows through campus and into Lake Conway. 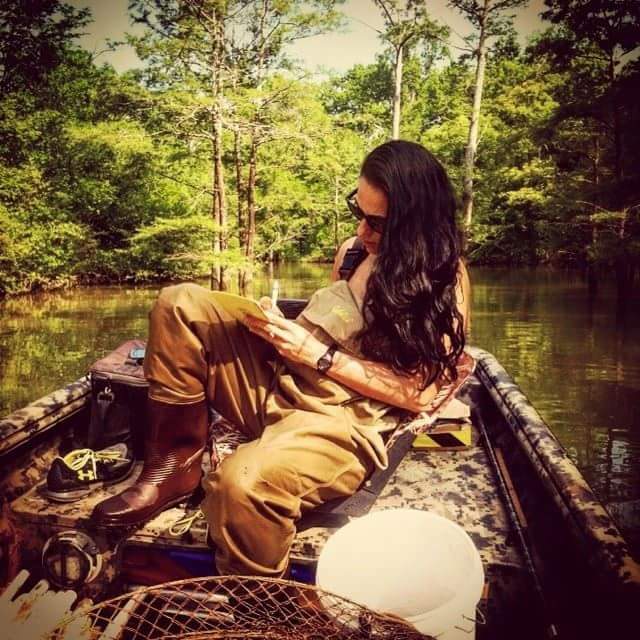 Students use standardized assessment methods provided by the Arkansas Game and Fish Commission, to quantify water chemistry, macroinvertebrate, and fish quality. 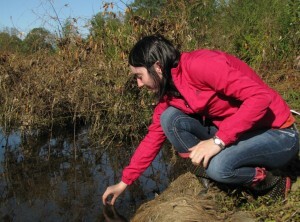 The student volunteers identify the aquatic organisms and relate them to the overal l water quality to develop an understanding of the effects of the city of Conway and the surrounding campus. 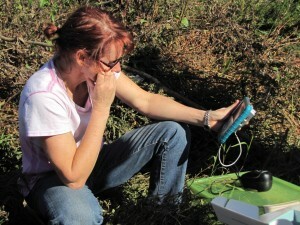 The data collected are used to inform the public and researchers of the current condition of the stream and to guide future research and restoration efforts to improve the water quality of the campus stream. Volunteers are needed! We will be sampling in October 2015 and Earth Day 2016, please contact Dr. Sally Entrekin (sentrekin@uca.edu) if you would like to get involved! We are also monitoring the HPER creek restoration on campus!